On January 15-17th, members of the MAZI project will be among others at the Sarantaporo area for a 3-day symposium hosted by the team of Sarantaporo.gr. We will visit different villages in the area that are part of the network, including the “headquarters” at Sarantaporo, and will discuss with locals about the present and the future of this remarkable effort on network commoning. To get a first impression of the network and better organize the symposium, I spent recently two days in the area with Achilleas Vaitsis, co-founder of Sarantaporo.gr, and I feel like documenting this experience hoping to generate some reflections that will help the discussions during the symposium. I admit that even if I have read a lot about this project, I hadn’t really placed it on the map1 before the recent successful crowd-funding campaign on the production of a related documentary by Personal Cinema. 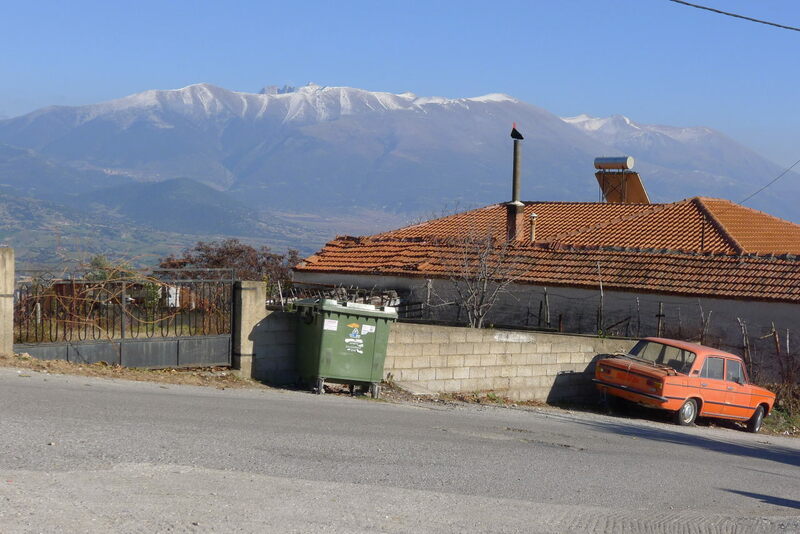 I was surprised to realize that the 14 villages offered Internet access today solely by the Sarantaporo.gr network are not in a especially remote area in Greece, but next to the Olympos mountain, half-way between Larissa and Thessaloniki (two of the biggest Greek cities). Read more. Against capital controls and procrastination of the state apparatus, the crowdfunding campaign for the documentary: “Building Communities of Commons in Greece, a documentary on mesh and community Networks in Sarantaporo area in Greece” was funded successfully. Thank you all for having support it and stay tuned. The story of Sarantaporo’s DIY wireless network is one worth telling and sharing. Filmmaking collective Personal Cinema is attempting to do just that. It is very close to successfully completing their crowdfunding campaign needed to finish their documentary about a mesh network deep in rural Greece. 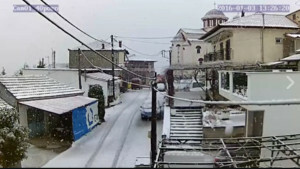 The film, Building Communities of Commons in Greece, aims to document the story of Sarantaporo and the concept of commoning through the autonomous wireless mesh network that the local community has installed in their mountainous village. I spoke to documentary director Ilias Marmaras recently to learn more about the self-organized network that has been in operation since 2010. Below is what I learned. Go to the article.